Drop shipping is the technique where the retailer does not store any goods, but only acts as an intermediate solution between the wholesale retailer – or the manufacturer – and the customer. Numerous dropship sites nowadays allow people to start drop shipping without the need to invest a lot of money. Many online retailers these days taking advantage of this supply chain management system. Here are some of the top sites for drop shipping. This is a very popular site for drop shipping due to the quantity of products present in its catalog. It is possible to use the products on this site on popular online retail sites like Amazon and eBay. The site offers a free seven-day trial, while it claims to make a retailer without investing a lot of money. The products in the catalogue range from apparels to sports products. 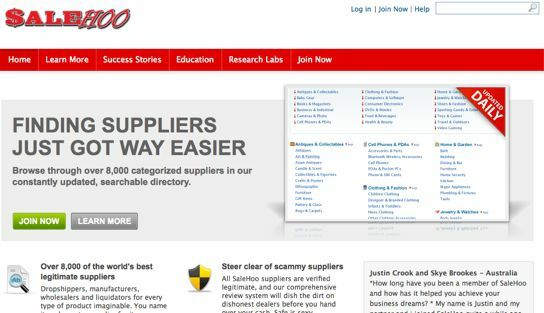 SaleHoo is the dropship site that provides retailers with an inventory to find suppliers as per their needs. The site claims to have more than 8000 manufacturers and suppliers on their books, while there are close to 90000+ members. The site provides tools for market research and information about the latest trends. Users can pay a yearly fee to access their directory where many manufacturers and dropshippers listed with detailed information. The company has been functioning since 1999, and it provides retailers with factory-direct drop shipping. It primarily serves retailers in the USA, but other regions in the world are also covered. The site claims to have more than a million products in its catalogue. The site also provides success stories and a discussion board for the members. This site provides retailers with the access to more than 500 different surplus & wholesale product categories. It is completely free to join. It primarily functions on the auction and bidding business model. There are tools to notify the users about the ending, popular, latest, and sealed auctions. Ali Express is a B2C website and provides wholesale shopping experience with prices even for orders as little as one item. The site is a part of leading Chinese B2B marketplace Alibaba. The site claims to have almost 6000 products across 44 different categories. It also highlights products that have the best deals, while best-selling products are also highlighted. This is a Chinese online marketplace that has been online since 2004. The site claims to have more than 20 million products in its listings, which are available from more than 500,000 manufacturers in China. The site accepts customers who might be international retailers, bargain shoppers, and resellers. This is a popular discussion board that aims to bring manufacturers, wholesalers, and retailers to a common place. It is UK centric and suppliers can offer their wholesale goods in this discussion board. Services are also accepted and received on this site. This provides a comprehensive coverage of all the wholesale products available from the suppliers. The latest wholesale news, deals, and product locator tools are available as well. The site gives information about the trade shows through its calendar. The product inventory covers a range of categories. This decade-long serving company claims to have a long list of high-profile wholesalers that allows entrepreneurs and retailers to get products at discounted prices. The site claims to have close to 200,000 products available in its listing. The site provides a discussion board for users to discuss anything from wholesale news, drop shipping, start-ups, and safe trading. The site allows suppliers and retailers dealing in various categories like agriculture, service equipment, and accessories to meet each other. 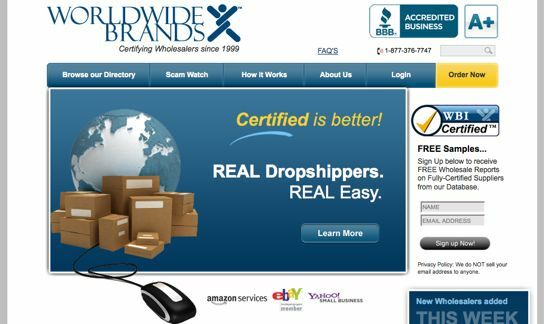 This site provides drop shipping tools and services for retailers looking to connect with wholesale suppliers. It claims to have more than 6 million products in its catalogue. Different packages are available to suit requirements of various retailers and suppliers. This site is mainly concerned towards warehousing and order fulfillment. It has been online since 2007. The company has a dedicated support team along with the ability to handle returns. International shipping is supported by all the seven warehouses of the company. Although it is a shipping company we listed it here because it can make drop shipping easy and possible for many online retailers. Online retailers can buy products from suppliers or manufactures and can get them shipped with Shipwire without even touching inventory. There are many such services online though Shipwire is more popular among them. Note: Popular online retailer amazon.com also has similar services in certain countries. This dropship management solutions company provides free tools like business calculators, wholesale search inventories, guidance articles and tips. The site has automated tools that enable the users to sell much faster. There are tailored plans for new drop shippers, resellers, and manufacturers. Run by ProdWise Inc, this company has partnerships with major manufacturers, wholesalers, and importers across the world. There is an online warehouse to see the various products available. Tools for getting the inventory data and downloading images are also available. The company claims to have close to 2 million products in its catalog. It offers information about its services and the working. Due to the direct wholesale procedure, the site guarantees the lowest prices across the market. The site offers the ability to order multiple brands using one account. This is an UK based marketplace for ecommerce and it has been online since 2003. The site claims to offer discounts to the range of up to 90%, while having more than a million listings. Wholesale supplier information can be got based on the category. This dropship site provides two sets of plans for customers in the UK and US/Canada. It claims to have more than a million products in its catalog. The plans range from $49.99 to $149.99, while a combined plan is offered for $199.99. There are no monthly fees on Dropship Design. 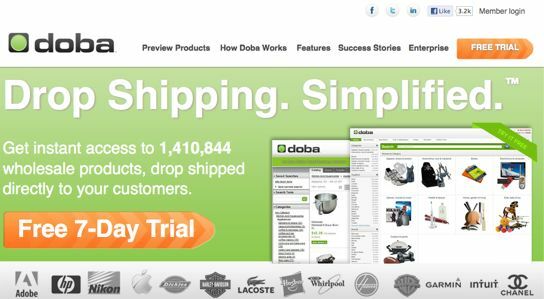 This site provides access to almost 1.5 million products that are dropshipped. The listing tool can be used to start selling with eBay, while deals are sourced from NexTag. There is a seven-day free trail, while there are three different paid subscriptions. Note: You can also check our list of affiliate networks, if you’re willing to monetize website traffic through various affiliate programs. Just send us an email. We really love the information provided. we at custom parcel s are always looking for new ideas and resources to write from.